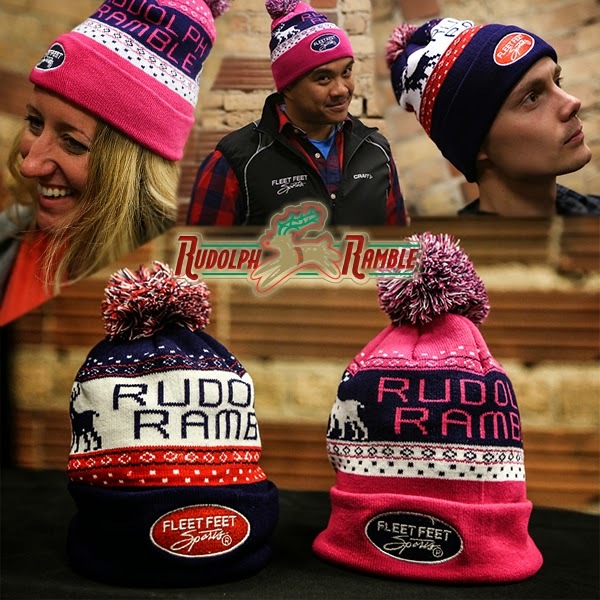 The Rudolph Ramble 8k is a race hosted by Fleet Feet Sports and was held in Chicago on Sunday, December 14, 2014. Feel free to head over to BibRave to read my race review (it's less personal and contains brief bullet points). Sunday morning rolled around much quicker than I had liked (since we had a wedding the previous evening which meant a long night of dancing and a bit of drinking). 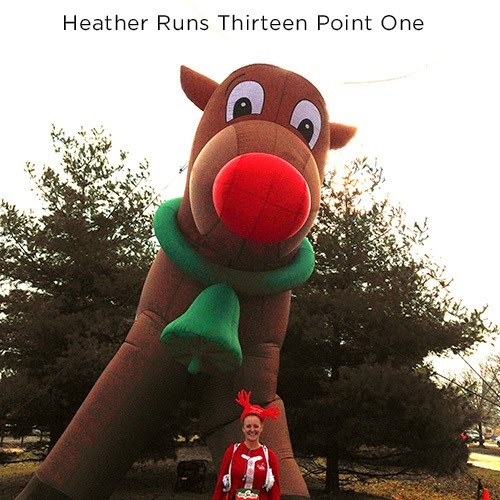 I dragged myself out of bed and got dressed for the Rudolph Ramble 8k in Lincoln Park. I pre-paid for a parking spot in the area using Park Whiz rather than having to search for parking or pay $20 at the zoo. Once my mom got to my house, we made our way into the city. Traffic was light and we reached the lot in plenty of time. Due to a busy work and after work schedule during the week, we decided to do race day packet pickup. 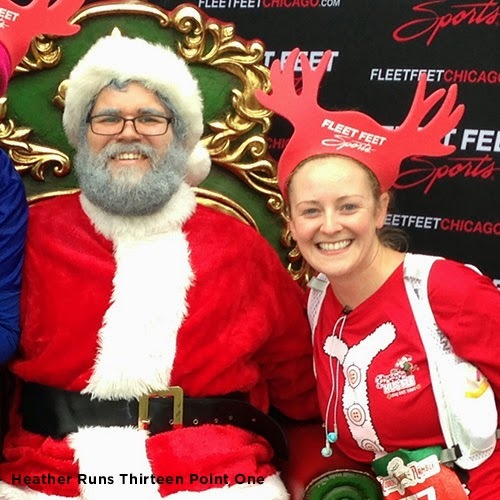 They had Packet Pickup on Friday and Saturday at 3 Fleet Feet locations simultaneously – Lincoln Square, Old Town, and South Loop. Lucky for me, as mentioned above, they also held Race Site Packet Pickup from 7:30am – 9am. The parking lot I bought a spot for was about a half mile from the race site (which was near Diversey Harbor and Lincoln Park Zoo). My mom and I got to the race with plenty of time to spare and packet pickup was a breeze. We received our bibs and our adorable knit hats. Near the start line, volunteers were handing out antlers for the runners to wear. I wore mine for the race, and thought they might bother me, but they didn't. I wanted the red, blue and white one as well. We used the Portajohn's before starting. My only negative thought on this race was that there were only about 11 of them – a few more would have been nice. Luckily we got in the line before it got too bad, but pretty close to the start the line was still really backed up. The race started promptly at 9am with a group start. I was a bit nervous about this, but it wasn't a problem at all. 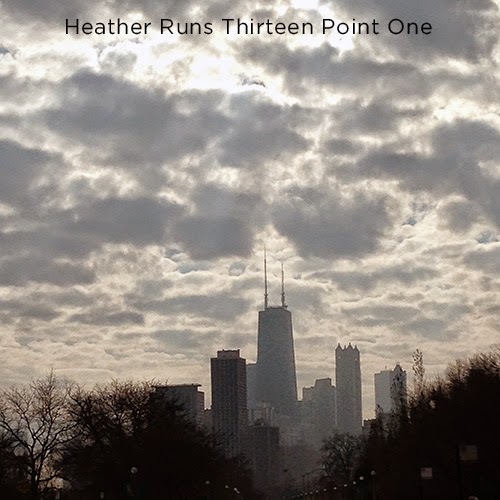 I barely noticed much congestion other than right at the beginning, but the runners spread out and I found the race to be quite enjoyable, without the usual weaving that I have grown accustomed to in the past few races. We ran 30 seconds and walked 1 minute intervals. I had just gotten a GoPro Hero 3+ thanks to the folks at BibRave and Addaday, so brought it with to test out. My arms hurt the next day from holding it up to take videos and photos – I haven't yet gotten any accessories to make it easier on the runs. Looking forward to trying a head mount or stick. There were 2 aid stations that had both water and Gatorade, and plenty of spirited volunteers. I found the course easy to follow with the cones and course marshals directing which way to go. 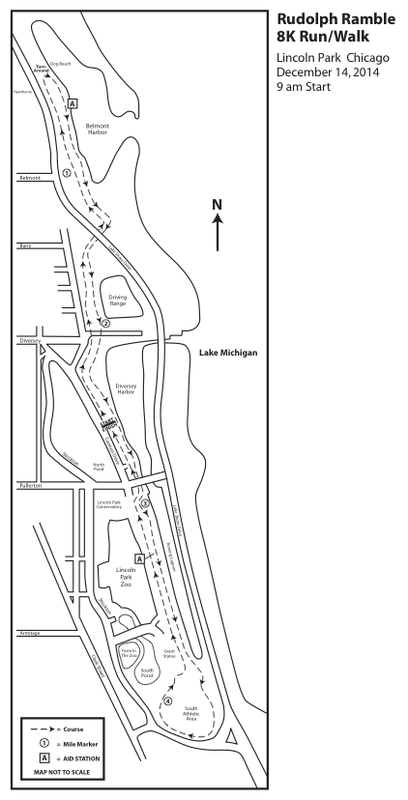 We ran a bit north to the Lakefront Path, came back around south, then past the Zoo and back again. Other than few pothole like areas in the ground, I thought the course was great - different than most other races, which was nice. The race was chip timed using the B-tag. After the race, they were handing out bottled water, bottled Gatorade, bananas, Clif Bar mins (White Chocolate Macadamia Nut or Chocolate Chip), Ritz Bitz peanut butter or cheese crackers, and candy canes – great spread! There was also a coffee truck for those that wanted to purchase a warm beverage. 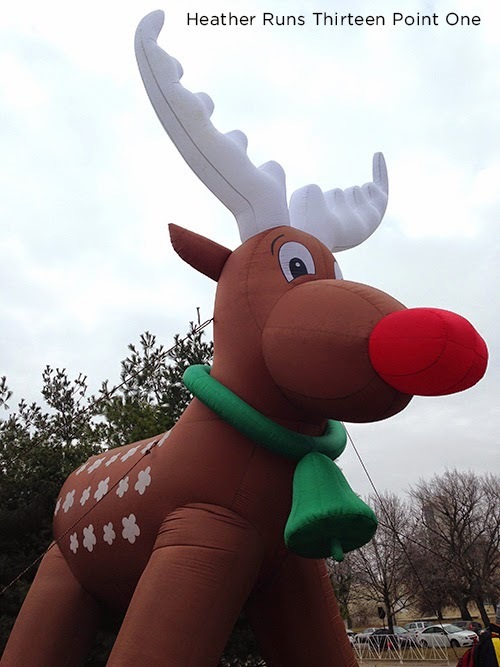 At the finish line area, you could get your photo with Santa and a blow up Rudolph. My mom and I had no trouble getting a photo with Santa, as there was barely a line. Panoramic shot of the post-race area. We stuck around for awards, where my mom got second in her age group! Go mom! Afterwards, we strolled through the Zoo to see the animals before heading back home. This race was well organized and I will definitely look to add it to my 2015 race schedule. I'm really glad I decided to register for it, though it was a bit last minute (wasn't sure if I wanted to race the night after a wedding, but figured why not?). I also liked that it was an 8k rather than a 5k, makes the drive and price seem more worth while.